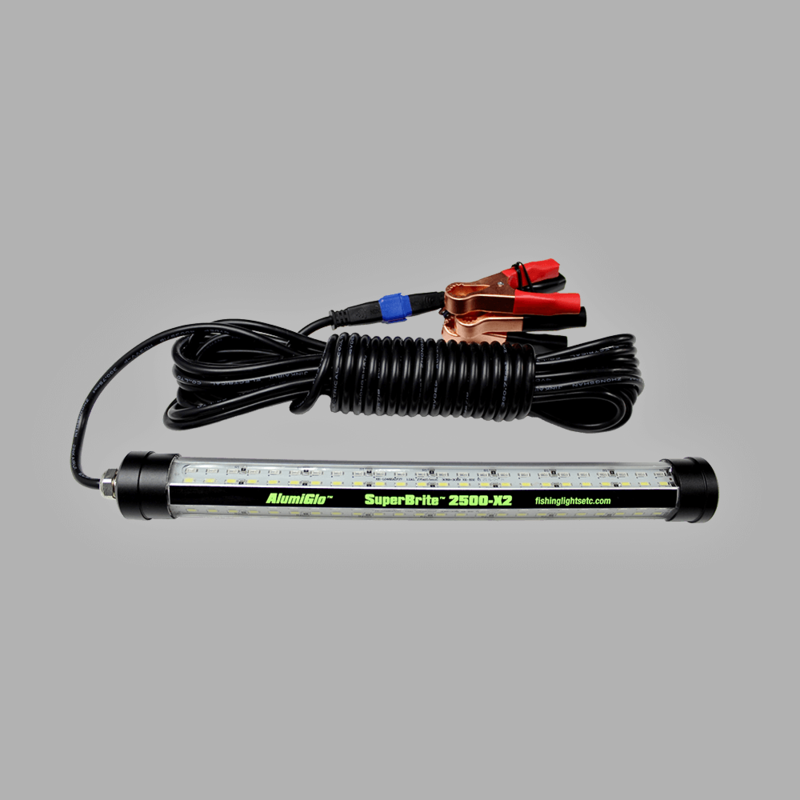 The SuperBrite 2500-X2 Dual Color LED Fishing Light by AlumiGlo is the combination of bright and compact. This all aluminum light utilizes our 4-sided, 360-degree, patented design which consists of 192 Green and White LEDs. 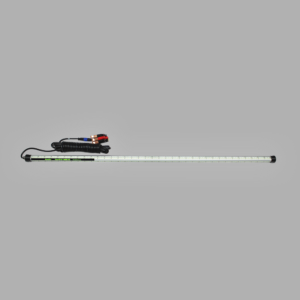 While only being 12″ in length, it punches a total of 2,412 total lumens and its low power draw makes it the perfect light for a full night of fishing. 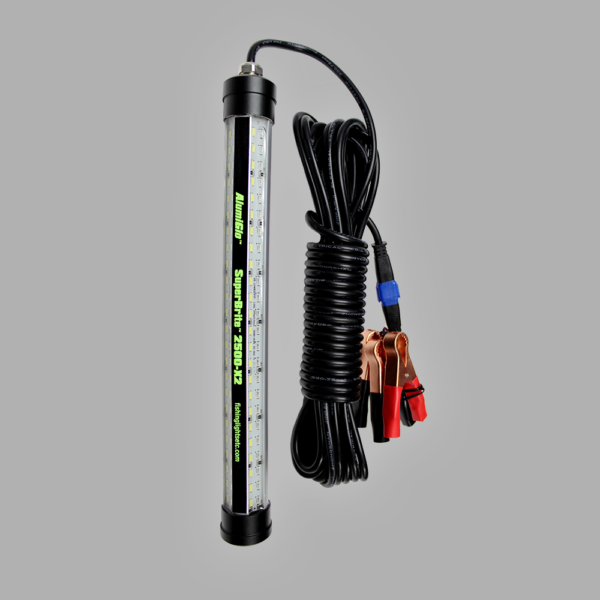 With its durable aluminum design, it outlasts all the other less expensive, plastic fishing lights on the market. 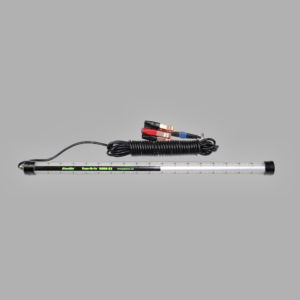 Our SuperBrite 2500-X2 is internally weighted and requires no additional weight. This white and green LED fishing light is ideal for crappie fishing in the summer or ice fishing for smelt in winter. 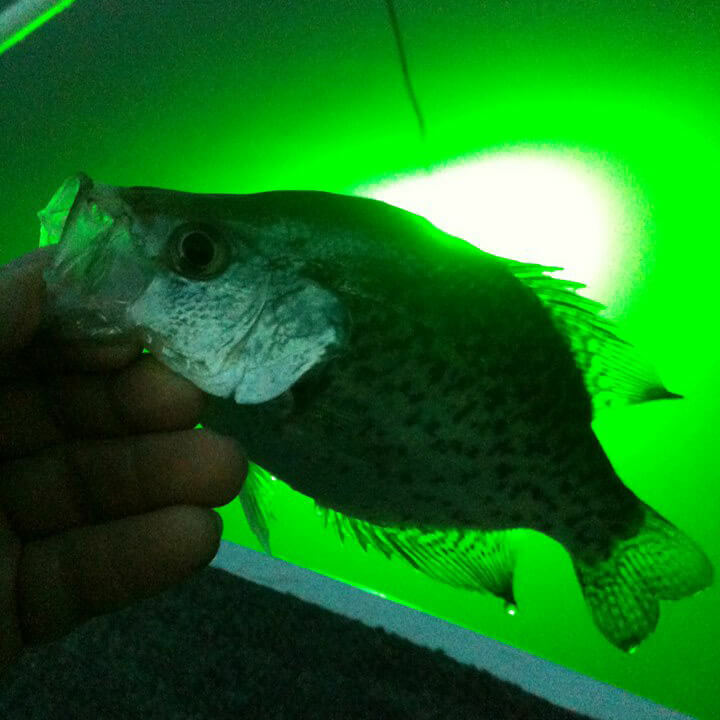 For Underwater Use Only! 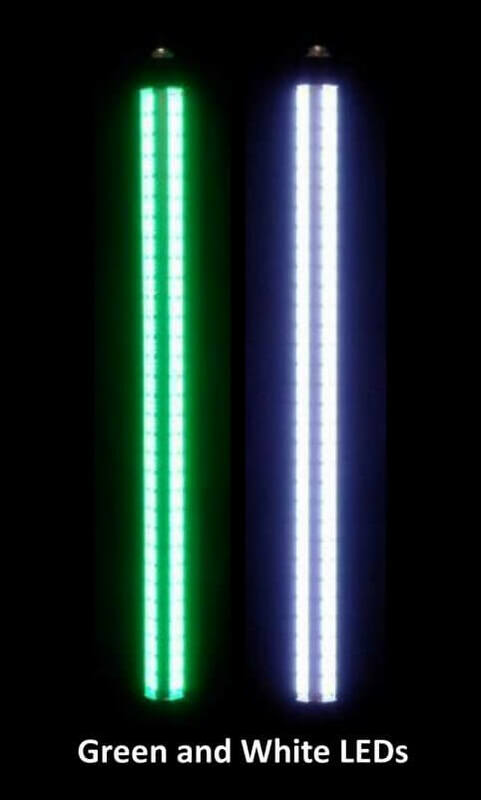 12" x 1.375" x 1.375"